Keeneland’s mission since our inception has been dedicated solely to our industry and community with a commitment to growing an exciting sport and showcasing exceptional equine and human athletes. Whether through advancements in pari-mutuel wagering, equine safety measures, jockey welfare or more global initiatives on medication issues, Keeneland has sought and led the charge on measures that protect our horses and the integrity of our sport. Medication has been at the forefront of discussions in our industry for some time. Our collective response to these issues must be to pledge that we provide for the health and welfare of our athletes and assure the wagering public and all of our fans that every facet of our sport is conducted with the highest level of integrity and is subject to a heightened level of scrutiny. 1. National uniform rules that include the same list of prohibited and permitted substances and methods in every jurisdiction. 2. Uniform testing procedures and protocols, including out-of-competition testing. 3. Uniform standards and accreditation of labs. 4. Uniform set of penalties that are administered in a timely manner. 5. Uniform and fair investigations and prosecutions. 6. All of these must be performed with appropriate rigor to achieve the goal of a level playing field for all participants and the elimination of performance-enhancing drugs in Thoroughbred racing. Significant progress has been made by thoughtful individuals and organizations, but many argue it has not been fast enough and we are losing participants because of that pace. 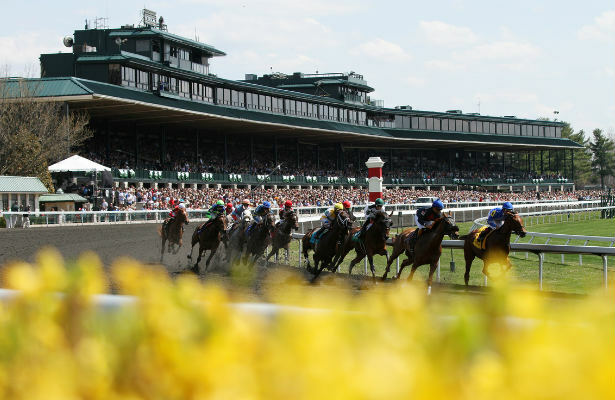 Although not currently a member of the Coalition for Horse Racing Integrity, Keeneland is committed to achieving these initiatives vital to the growth and success of our industry, and we urge other race tracks and horsemen to constructively work with the Coalition and other industry leaders with a sense of urgency. We will achieve uniformity with integrity only through constructive dialogue and coordinated action. We appreciate all who are passionately working to advance these guiding principles for all the right reasons and look forward to the continued process to achieve these crucial objectives.